I remember the day Henry was born. I was NOT supposed to be having a baby that early, although secretly I wanted him out so badly. The day started like any other; I spent the early morning blogging and then headed to a mid-morning barre class. In barre, I felt contractions. 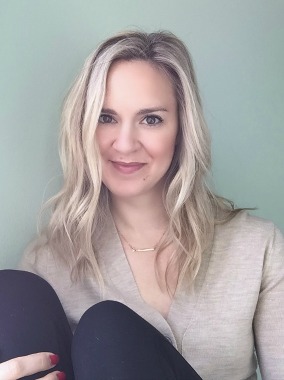 By this point, I had been contracting for over six weeks - not just Braxton Hicks either! But these made me lose my breath, and at one point I actually sat down in class. I chalked it up to being 36 weeks pregnant and huge and generally breathless. I was wrong. I continued on with the day. I also continued on with contractions, although like I said - I was used to them. I was also used to pain, because Henry had dislocated a few of my ribs and I had just had an external cephalic version (read about that experience here) - in fact, I still was covered in bruises on both sides from that experience. So painful contractions? Meh. Whatevs. I spent the afternoon of Friday, May 16 running errands. Baby-prep and personal-prep errands. But I just didn't feel right! I was walking slower and in pain and was so sweaty! I mean, it was mid-May in Texas, so granted it was 95 out, but this was absurd. So I cut my errand running short and returned home. Nine month pregnant women need to use the restroom often, so I went. And discovered my maternity shorts were all wet. Little did I know I would find myself here in a few short hours! "Jeez, did I pee myself?!" I thought. No, I KNOW I didn't... Was it sweat? I had just gotten home and had black leather in my car... Pair that with the weather and that amount of perspiration wouldn't be strange for a pregnant woman. But something felt off. So I called my mom, who was an infertility nurse for some 20 years. I mean, I *should* have called my OB, but no. I called my mom. Why? Because I don't care how old you are, you NEVER stop needing your mom! "Paige, call your OB!" My mom instructed me. So I did. And she told me to come in to labor and delivery, stat! See, I had only known this OB for about a week. Prior to meeting her, I had spent my pregnancy with midwives at a birth center. I became high risk, and after my external version failed, I was officially handed off to a M.D. My midwives tried, but it was just too dangerous for me to deliver at a birth center. So instead of having a natural birth, I was now heading in to Labor and Delivery at a hospital I had never been to to deliver my breech son a month early via c section. Hubs was about to find out he'd be spending the evening in scrubs! I called my husband, who by the grace of God was in town and not a flight or two away from Dallas. He was on a conference call when I beeped in, but switched over to take my call. I never call him - I'm a text only kinda gal. So a call from a nine month pregnant wife? Yeah. You answer that! "Hey babe, how far are you from home right now?" I asked. "About 20 minutes. I'm on a conference call. What do you need? Want me to pick up dinner?" he replied. It's sweet that he just thought I was bugging him about dinner and still left his call to talk to me, isn't it? Ha! "Um, no, you need to hurry home. I've been in labor all day and now my water broke. We need to go to the hospital!" Because this birth was such a drastic last minute change of plans, my husband didn't have anything packed. Since we knew this would be an emergency c section, we'd be at the hospital for about four days. I didn't even have anything packed for a four day stay - what you need at a birth center is far more simple! After I got off the phone with him, I sat on the edge of our bed and let it sink in. This was IT! It was TIME! I had no idea what to expect, I didn't even know where this hospital was (we used our GPS to find it, in fact) but I was so thrilled to no longer be pregnant and SO ready to meet my son. I had a calm moment of happy tears. Perhaps it was the proverbial "calm before the storm" of racing off to the hospital to face the unknown. I think I went through about half a box of Kleenex as I cried happy tears. Tears of being thankful I lived in an era that had the medical technology to safely deliver my son. 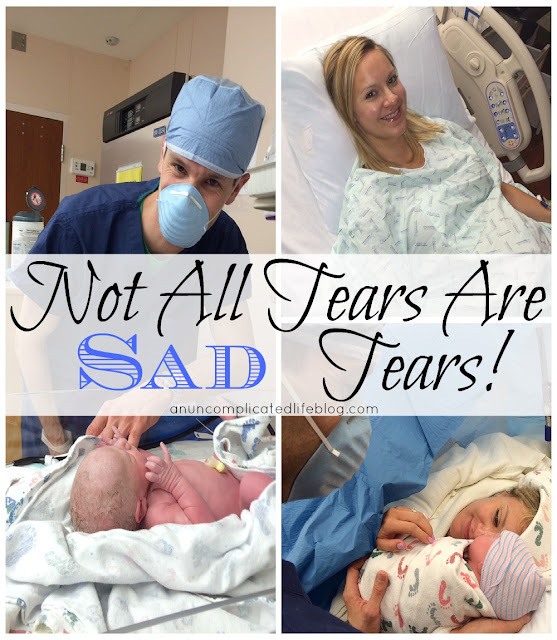 Tears of gratitude that these were the final few hours of what was a painful, traumatic and problem-filled pregnancy. Tears of hope that everything would go well. And mostly, tears of excitement! About five hours later, I was looking at my sweet Henry and hearing the premie team they had ready for him laugh as he peed all over everyone. Despite the early arrival, Henry came out perfectly and ready to join the world - he needed no NICU time and latched right on and started eating like a champ, from hour one. He just wanted to join the real world party early! 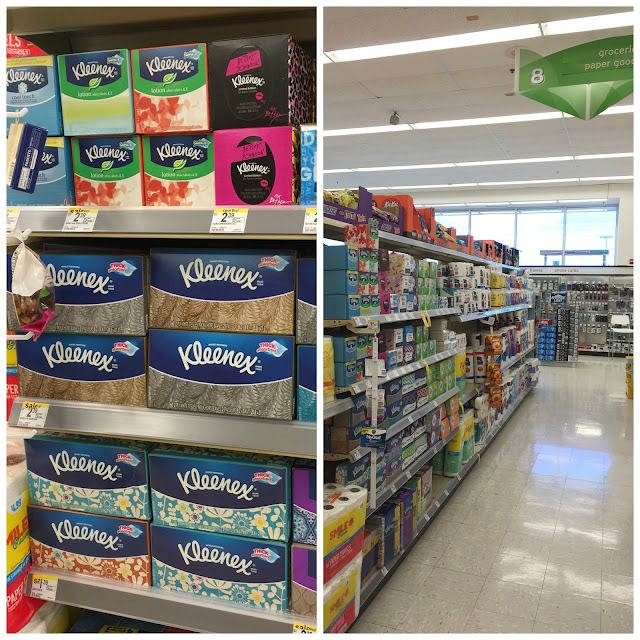 Kleenex brand tissue is easy to find at Walgreens! Have you ever needed a Kleenex for happy tears? I'm already stocking up on them at Walgreens to prepare for Otto's birth in a few weeks! Best yet, I have a coupon for you for to use on any box of Kleenex brand tissues to prepare you for your next happy tear moment. Sweet story :-) Cant wait til the babe comes, I'm so excited for you Paige!! What a sweet story. Your life changed forever. I can only imagine what remembering back is like for you. Back on that day I was hauling stuff to our venue and having the best rehearsal dinner ever. :) I love that we almost share a special day. I just found your blog through the SheKnows Twitter thread and I'm so glad I stopped by. My first little was born at 34 weeks with few (but some) complications. The delivery didn't go as I had plans (my water broke and my hubby was in San Fran and we live in ATL) but I'm so grateful that everything went smoothly and in hindsight it was all perfect. That premie is now 2.5 years old and such a blessing to our family. I always find so much commodary with other premie moms because we all ventured down a similar road. I'm so glad your tears were the happy variety! Aww! It was so fun to read Henry's birth story today. I laughed at the part where your husband thought you were calling about dinner! I'm sure it was fun for you to relive this time and write about it since you are so close to doing it again! awww stop it. you're making me cry and i don't even have pregnancy hormones to blame, like Tiffany above lol. I cry a lot, and i'd say 80% of them are happy tears. such a loser. i love that your husband thought you were calling about dinner. your first pregnancy with the broken ribs and the high risk honestly sounds terrifying. i hope you know i will be alternating between calling my mum (because you are so right, you always need them!) and you when anything happens. haha. This is such a wonderful post! I actually just emailed you because I shared one of your blog posts on my post today. I am talking all about breastfeeding and shared your #formulaforhappiness post as one of my favorite posts from mom bloggers who choose what is best for them! Your posts are always so on point, which is hard sometimes with sponsored posts but you do an amazing job! Such a beautiful beautiful post!! I'm SUCH a happy crier! In fact, anything that sends me over the emotionally neutral line has me crying! Awwwww stop this post got me all emotional over here! I'm so happy to hear that everything turned out okay but I'm sure you were nervous at the time. Talk about a change in birth plan! Is Otto still staying put in his good position?? Happy tears are the best tears <3! I would 100% call my mom before I called a doctor...so I totally feel you on that one!! He wanted to join the party early like you said!!! I love to read other people's birth stories. Both of my kid's birth also turned out to be unplanned c-sections but at the end all that matters is that you get to hold your healthy happy baby in your arms! Thanks for sharing. This is such a sweet story! I just stumbled upon your blog (from Pinterest) and this post caught my eye. Thanks for sharing!